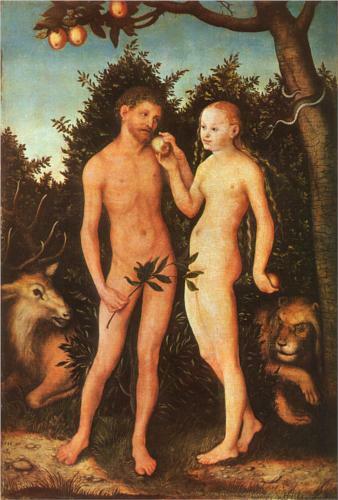 This entry was posted in Garden of Eden and tagged Adam and Eve, Genesis, The Fall. I always thought they were the same tree, but it was always nice to think of a good tree (life) and an evil tree (knowledge of good and evil). why would i think knowledge of right and wrong is evil? I would think that is wise?? Yes indeed Luke, a knowledge of good and evil is a good thing. The Bible uses the ability to distinguish between the two as a sign of maturity. For example, Deuteronomy 1:39 refers to young children as those “who have no knowledge of good or evil”. A similar text in Isaiah 7:14 refers to maturity as the time when a “boy knows how to refuse the evil and choose the good”. David was once described positively as “my lord the king is like the angel of God to discern good and evil” (2 Samuel 14:17). Solomon prayed for “an understanding mind to govern your people, that I may discern between good and evil” (1 Kings 3:9). The ability to distinguish between good and evil is commended in texts like these: “Turn away from evil and do good” (Psalm 34:14; 37:27); “Hate evil, and love good, and establish justice in the gate” (Amos 5:15). The story of the garden of Eden is interesting in that a knowledge of good and evil is something that God would presumably want for humankind. Perhaps the lesson of the story relates to how this knowledge is obtained, and the processes of growth, development and maturity that are necessary for it. Adam and Eve reached out and took it before they were ready.